At its Developer Conference in San Francisco last week, Samsung gave attendees a preview of its foldable display called Infinity Flex, although the device sporting that display wasn't shown off in its full glory. 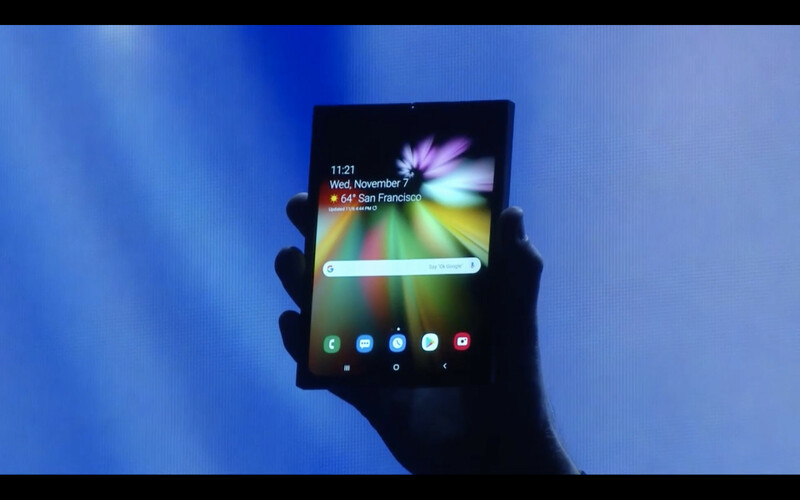 The key specs and features of the foldable phone were revealed, nonetheless, including a 1,536 x 2,152-pixel resolution and the new Multi-Active Window feature meant to allow up to three apps to appear on the screen simultaneously. However, Samsung didn't say a word about its availability details, until now. At the sidelines of the conference, DJ Koh, head of Samsung's mobile business, told reporters that the initial batch of over one million foldable phones is set for rollout in the first half of 2019. The company believes the device is ready for commercial deployment after surpassing key obstacles such as lines showing up once the screen is folded, Koh said. There's still no exact date for the release and even the phone's official name remains undecided, but Koh's statement gives assurance that consumers will definitely see the first foldable smartphone from the South Korean tech giant next year. He also said that Samsung plans to produce more units if the market shows a positive response to the product. Koh revealed that he met with Google CEO Sundar Pichai two months ago and set up a group to develop the phone's user experience design. After the handset's maiden release next year, Samsung plans to release the product every year as it does with the Galaxy S and Note series, though initial availability will be limited to the U.S. and South Korea.